On 10 and 17 November the students of two milanese Junior High Schools attended educational laboratories dedicated to restoration, at the GAM Museum in Milan. The programme “A School, a Job. Training to Excellence" has reached its sixth year, awarding 35 new apprenticeships in the best artisanal workshops. The call for applications to the 2017/2018 edition of the educational programme “A School, a Job. Training to Excellence” is open until 15 September 2017. The Cologni Foundation’s endowed chair in the Faculty of Design dedicated to “Italian beauty” (“La Bellezza italiana”) renewed for the academic year 2016/2017. Launched in 2012, the programme promotes the integration of young talent in the world of artistic crafts. The Cologni Foundation for the Métiers d’Art continues its collaboration with Bocconi University in the the Master’s programme in cultural heritage management (MAMA). A new collaboration has been forged between the Cologni Foundation and Exclusiva Foundation to enhance and promote excellent craftsmanship, thanks to a partnership about the MAM- Maestro d’Arte e Mestiere award. Presentation of the volume "La fabbrica delle note di carta"
Here is a monograph all about the print house La Musica Moderna, whose story was entwined with that of Italy's popular culture of songs and their authors for 77 years (1930-2007). Published with support from the Cologni Foundation, the book was presented in the rooms of Castello Sforzesco in Milan on 21 November 2017. The Cologni Foundation and FAI–Fondo Ambiente Italiano present “Manualmente”, the annual event taking place from 25 October 2017 to 7 January 2018 in the magical frame of Villa Necchi Campiglio. On 4 and 5 November the prestigious Villa Necchi Campiglio in Milan hosts a fair dedicated to fine handmade wooden products made by selected Italian master artisans. The project “Che impresa ragazzi!” is a free dual training programme addressed to Milan’s Art Schools students promoted by Feduf-Fondazione per l’Educazione Finanziaria e Risparmio in collaboration with MIUR, the Ministry for Education, and with the support of the Cologni Foundation. The Cologni Foundation has given its patronage to the first edition of “Fatti ad Arte”, a fair dedicated to artistic craftsmanship, which takes place from 27 to 29 October in the evocative setting of Piazzo, a historical quarter in the town of Biella. On 15 October 2017, the magical location of the GAM-Galleria d’Arte Moderna in Milan hosts a special event dedicated to the fascinating theme of gardening. The Cologni Foundation and 5VIE art+design join forces once again to promote a dialogue between the master artisans working in the famous “Cinque Vie” district of Milan and their clients, collectors and patrons. The highly acclaimed exhibition Doppia Firma is presented at the first edition of “Tresor-contemporary craft”, a showcase of high-quality applied arts, which takes place in Basel from 21 to 24 September. The first summer school of the MADE Program, the brand new project of the “Rosario Gagliardi” Academy of Fine Arts, is scheduled to take place from 24 to 31 July 2017 in Syracuse (Sicily). On 30 June 2017, the new book in the “Storietalentuose” series published by Carthusia with the Cologni Foundation is presented in Padua on the occasion of the event “Notturni d’Arte”. “The intelligent hands: art skills” is the new cycle of meetings dedicated to the extraordinary artistic skills of men and women, developed by the Bagatti Valsecchi Museum in Milan in collaboration with the Cologni Foundation for the Métiers d’Art. The successful journey of Doppia Firma at the London Craft Week (3-7 May 2017) is organised and supported by the Michelangelo Foundation for Creativity and Craftsmanship. After the great success at the GAM, the Modern Art Gallery of Milan, during the 2017 Salone del Mobile, the exhibition Doppia Firma goes to London. A “double signature” to establish a dialogue between design innovation and the tradition of great Italian craftsmanship. In the name of excellence. The European Artistic Crafts Days are an international event dedicated to the métiers d’art. The international biennial competition of art and design ceramics is organised by Officine Saffi, which promotes the diffusion, use, collection and production of contemporary ceramics. The 14th edition of the prize awarded annually by the Centre du luxe et de la Création to ten talents in ten different categories. 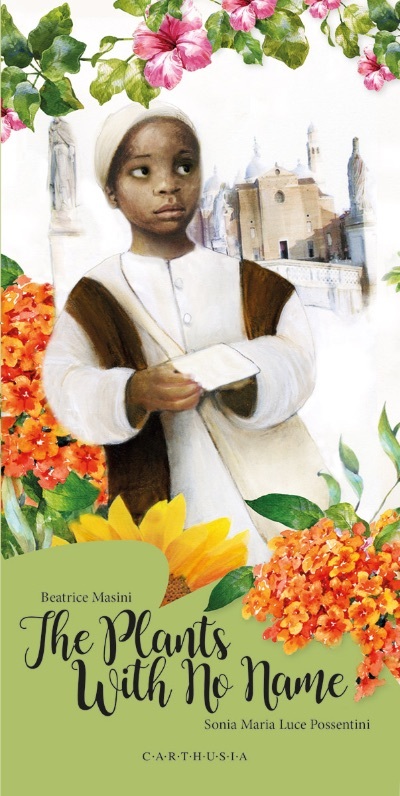 The fifth book in the “Storietalentuose” series originates from the fruitful collaboration between the Cologni Foundation for the Métiers d’Art, the Botanical Garden of Padua and Carthusia Edizioni publishing house. 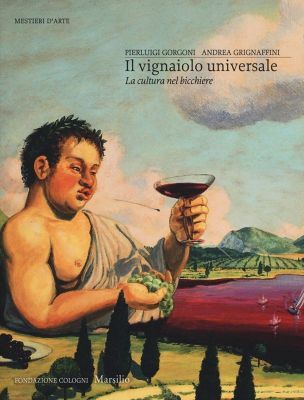 The tenth volume of the successful “Mestieri d'Arte” series is entirely devoted to wine, a sublime human or, rather, “humanistic” product, issuing from human hands and intelligence, and bestowing to mankind comfort and happiness. Help us support excellent Italian craftsmanship with a simple contribution. Write our fiscal code on your tax return: 97155080159. Crafted Society was launched in May 2017 to preserve excellence within craftsmanship and to support and acknowledge Italian artisans. The initiative has received widespread recognition within the Italian media. The Cologni Foundation for the Métiers d’Art, Elesta Travel and the Bagatti Valsecchi Museum in Milan join forces to forge an exclusive collaboration, to spotlight beautiful and perfectly crafted objects, encompassing both historical and contemporary creations. The new Wellmade website is up and running. The platform offers a way to discover the best craftspeople, get to know their work, and review their products and customisation services.